Here at Japan Parts Direct we help our customers remove the barriers of buying items from Japan by removing the translation barrier that stands in the way of you getting those items you want at bargain prices which used to be reserved for Top Dollar Importers. Our user friendly search program allows you to control Yahoo Japan in ways you never have before you can SEARCH thru millions of items, WATCH those bargains and BUY your items in ENGLISH at a price you want to pay all in real time. All you have to do is make an account and you underway. Best yet is Japan Parts Direct is completely FREE to use, the only costs to our customers is when you bid and win an auction. SIGN UP NOW!!!! START SEARCHING!!! 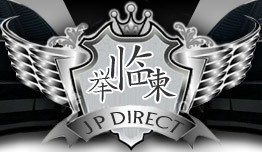 Becoming a member gives you full access to Japan Parts Direct Members Area which includes the use of our direct item searches. Save items to your account so you can check the real time bids and current price closer to the auction ending. Provides members with a full control of a bidding account. Real Time updates of the progress of your current bids – Real Time updates of the progress of the items you have won at auction. Once you have located the items of choice you can now save them to your WATCHED ITEMS or PLACE A BID via the Japan Parts Direct bidding bar located across the top of each page. The Bidding Bar allows you to control Yahoo Japan in English at a press of a button. Check the status of your current bids. Add items to your watched Items list. Place a bid on that item and get a total list of costs to get your item to your door from Japan. Adding funds to your bidding account is fast and easy we accept payments via Bank Deposit, Paypal and shortly Credit Card processing will be available online. Some payment types do attract a processing charge please see our fees page for this information. Prior to bidding Japan Parts Direct does require payment of the item you are wishing to place a bid on. If you are unsuccessful in securing your item your payment is a 100% refundable (less payment processing fees, please see our fee page) you can request a refund via My Account in Payment History. (Please note shipping via container is only available to our Australian customers International customer please enquire regarding other shipping methods however Express Post is available to anywhere in the world). Once this information is input our system will estimate a total cost to your door. Express Shipping is the quickest and most convenient method of shipping however this method can be quite costly in some cases. We also offer Container Shipping to Brisbane of your items which is normally used for large items such as Bodykits, Rims and other large and heavy items however there is normally a large lead time for these items to arrive via this method of shipping however the amount you save is normally worth the wait. If container shipping is choosen your items will be shipped to Brisbane from Japan, shipping inside Australia from Brisbane is not included in the cost estimate however Pickup from Brisbane is available. Once your item of choice has been won – Sit Back Relax and await your items arrival. © 2008 Japan Parts Direct. All rights reserved.